PARIS/MILAN (Reuters) - French media giant Vivendi <VIV.PA> called on Friday for the replacement of five of Telecom Italia's <TLIT.MI> board members put forward by U.S. activist fund Elliott, citing a "substantial lack of independence". The move is the latest twist in a months-long battle between Vivendi, which holds a stake of around 24 percent in Telecom Italia (TIM), and Elliott over how to revive Italy's biggest phone group, an underperforming business saddled with 25 billion euros (£22.48 billion) of debt. The U.S. hedge fund wrested board control from Vivendi in May by appointing 10 candidates - or two-thirds of the total - to its board after accusing the French investor of serving only its own interests. All candidates on Elliott's list were independent. 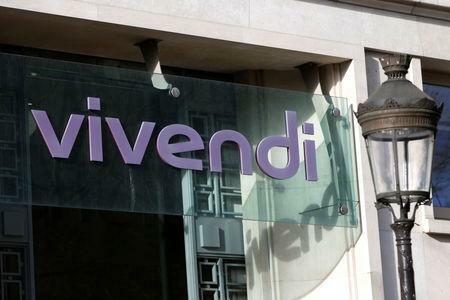 In the Friday statement, Vivendi called for a shareholder meeting to be held as soon as possible, asking for the removal of TIM Chairman Fulvio Conti and four other board members, Alfredo Altavilla, Massimo Ferrari, Dante Roscini and Paola Giannotti de Ponti. The French investor asked that they be replaced by Flavia Mazzarella, Franco Bernabè, Gabriele Galateri di Genola, Rob van der Valk and Francesco Vatalaro. "(The five Elliott board members) showed a substantial lack of independence and disrespect for the most basic and fundamental corporate governance rules, negatively affecting the organisation and image of Telecom Italia," Vivendi said. Telecom Italia said it had received and would duly evaluate Vivendi's request. Elliott had no immediate comment. The list of board members to be replaced did not include the name of Luigi Gubitosi, who was among the candidates put forward by Elliott in May and who last month suddenly became TIM's new chief executive, succeeding Amos Genish, a Vivendi ally. Gubitosi has been expected to pursue the activist agenda proposed by Elliott, which included the spin-off of TIM's network infrastructure and its merger with smaller, state-backed broadband rival Open Fiber, asset sales and a conversion of its savings shares. That could be put into question with another board overhaul. Under Genish and with Vivendi's approval, the former state phone monopoly had been pursuing a three-year operational turnaround plan, focused on a digital transformation, fixing its finance and returning TIM to an investment grade rating. In a report outlining the reasons for its request, Vivendi said a failure by TIM's board so far to convene a shareholders meeting to choose new auditors went against the principles of proper corporate governance. It also criticised the board that was put in place in May for what it said were "frequent leaks and speculations" and undermining management's ability to deal with TIM's operational challenges. The top shareholder accused the five board members it plans to replace for conspiring to replace Genish, who was removed while on a business trip abroad. Conti did not reply to an emailed request for comment. It was not immediately possible to reach the other four board members. Earlier this week, Conti vowed to defend his and his fellow board members' independence. He said the new management and its plans would prove the point that having an activist shareholder come in made it possible to "accrue value for all shareholders".